Step into the boots of Marine Private Tom Conlin, as you fight your way through the iconic battles of World War II. Work alone and with the help of squad members to complete missions. As squad members gain experience, they develop their own personalities and fight more efficiently. This first-person-shooter features incredible missions, weapons, and vehicles that put you in the middle of the fight. Historical Backdrops. Experience missions set at historically accurate backdrops including Pearl Harbor, Guadalcanal, and Tarawa. “Any Steam user can download a free copy of Payday 2 right now, and the game will be theirs forever, courtesy of a special offer from publisher Starbreeze Studios. This weekend you can explore everything a post-nuclear Boston has to offer with the first-ever Fallout 4 Free Weekend. From May 25 to 28, Xbox Live Gold Members and Steam users will be able to play all of Fallout 4’s base content and try out Mods for free. In tandem, Steam, PlayStation Store and Xbox Live will offer savings for Fallout 4’s base game and Season Pass, with discounts up to 67% off. Anyone up for TTT this weekend? In Prey, you awaken aboard Talos I, a space station orbiting the moon in the year 2032. You are the key subject of an experiment meant to alter humanity forever â€“ but things have gone terribly wrong. The space station has been overrun by hostile aliens and you are now being hunted. As you dig into the dark secrets of Talos I and your own past, you must survive using the tools found on the station, your wits, weapons, and mind-bending abilities. I have been planning to buy a PC for the past year now. Never got around to it till now (plan to order in the next two weeks or something). Reason being is I still use a HP Pavillion NoteBook. Which cannot run any CAD software like SolidWorks or Revit which is a pain and half my games I play are on the lowest setting running just on 30fps. And the other half is not even playable. which in short terms I’m looking for a new rig that can play games very well but also render demanding software. Help would be appreciated in guiding me in parts and places to order from. (please feel free to recommend parts to me and stores). Parts I have chosen are below. (all prices Are in AUD. and are from the store shown on the right). 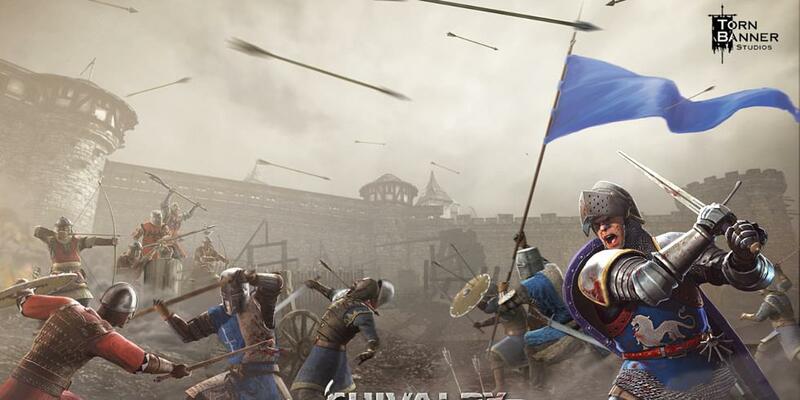 In celebration of their latest game Mirage: Arcane Warfare (http://store.steampowered.com/app/219640/) going into closed beta, Torn Banner Studios has made Chivalry: Medieval Warfare(store.steampowered.com) free for the next ~24 hours. Keep forever. Anyone who doesn’t have this, I can’t recommend it enough. It was well worth it for $20. It’s a no brainer for free. Great IPX multiplayer game.